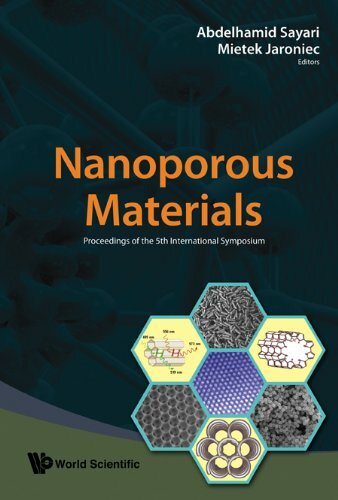 [PDF] Nanoporous Materials: Proceedings of the 5th International Symposium Vancouver, Canada, 25-28 May 2008 | Free eBooks Download - EBOOKEE! Description: This proceedings volume contains selected and peer-reviewed original oral and poster contributions to be presented at the 5th International Symposium on Nanoporous Materials, Vancouver, Canada, May 25-28, 2008. It presents recent scientific advances in the area of nanoporous materials, especially those with ordered pores of sizes between 1 and 50 nm, their synthesis, characterization and applications in adsorption, catalysis, bio-related processes, environmental cleanup and nanotechnology. A unique feature of this volume is the wide variety of nanoporous materials covered, ranging from ordered silica nanostructures, silicas with incorporated organic and inorganic species, ordered nanoporous carbons and polymers, metal organic frameworks, nanostructured catalysts to nanoporous films, membranes and monoliths.This proceedings volume reflects the current trends and advances in the field of nanomaterials, which will certainly continue to attract the attention of materials scientists around the globe. It will therefore be a valuable reference for materials scientists, chemists and physicists working in academia, national and industrial laboratories. No comments for "[PDF] Nanoporous Materials: Proceedings of the 5th International Symposium Vancouver, Canada, 25-28 May 2008".